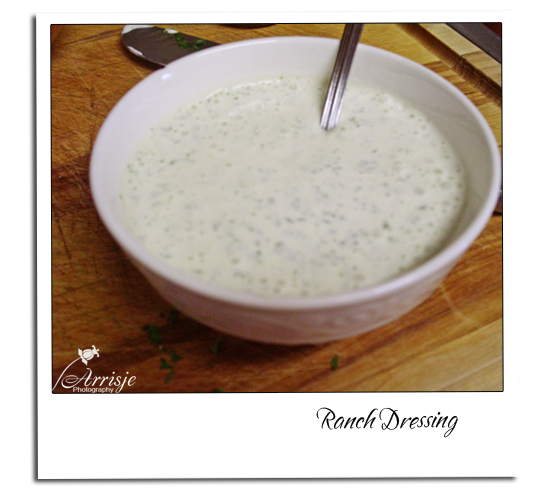 The creators of Ranch dressing are Gayle and Steve Henson from a dude ranch outside Santa Barbara, California. That name of that ranch was Hidden Valley Ranch. The Henson’s opened this ranch in 1954 and visitors came to enjoy horseback riding and taking in the scenery. However, the more memorable experience of these trips was generally the taste of the homemade salad dressing served at the ranch. 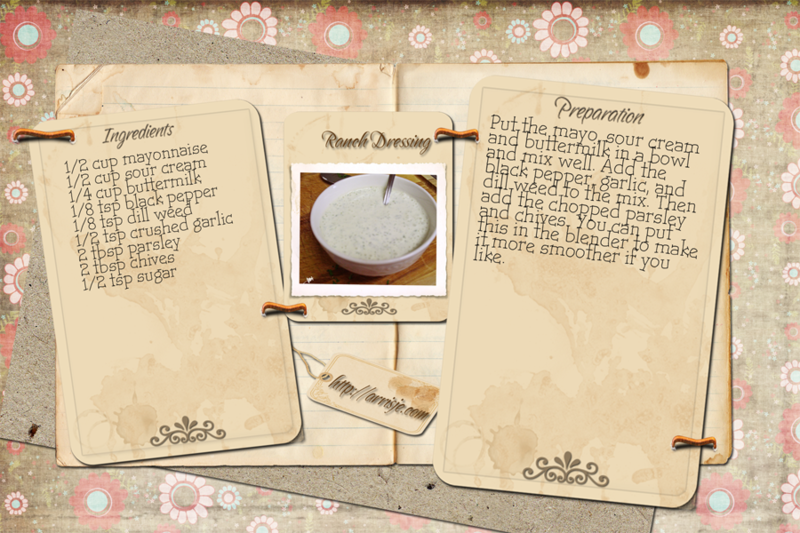 On the menu at the dude ranch was a special salad dressing made up of buttermilk, mayonnaise and a dry mix of herbs and spices. This dressing became termed Ranch and soon was the only salad dressing served. Ranch dressing has been the nation’s best-selling salad topper since 1992. 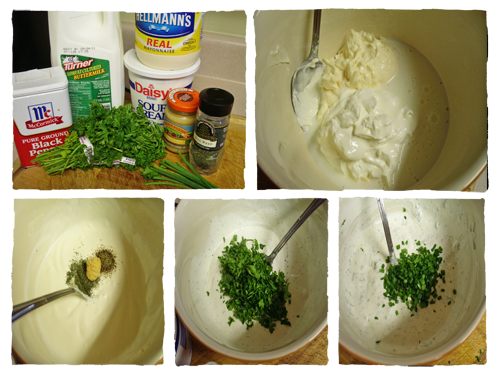 Put the mayo, sour cream and buttermilk in a bowl and mix well. Add the black pepper, garlic, and dill weed to the mix. Then add the chopped parsley and chives. You can put this in the blender to make it more smoother if you like. The creators of Ranch dressing are Gayle and Steve Henson from a dude ranch outside Santa Barbara, California. That name of that ranch was Hidden Valley Ranch. The Henson's opened this ranch in 1954 and visitors came to enjoy horseback riding and taking in the scenery. However, the more memorable experience of these trips was generally the taste of the homemade salad dressing served at the ranch. On the menu at the dude ranch was a special salad dressing made up of buttermilk, mayonnaise and a dry mix of herbs and spices. This dressing became termed Ranch and soon was the only salad dressing served. Ranch dressing has been the nation's best-selling salad topper since 1992.